Ever since it was announced around CES, the Iklip AV has piqued the interest of journalists and others that wanted a small rig that's perfect for interviews and other video fun. Designed primarily for smartphones, the iKlip A/V gives you the ability to add an XLR preamp with phantom power to just about any device. So what do we think? Read on. Now this is an interesting device. At $179.99 US, you get an L bracket with a single XLR input, on/off/phantom power switch, gain dial, a clip to hold a wireless microphone receiver, a spring loaded C clamp to hold your phone, a 4 pole male/male audio cable and a pair of AA batteries. Our normal setup normally consists of a Canon T4I, T5I, or M2 attached to a Tascam DR-60D with the UWMIC10. This is quite the bulky setup due to the DR-60D, but gives us dual XLR and an audio recorder that can record a second track a few decibels lower in case the audio level is too high. So how does the iKlip A/V hold up compared to our current setup? Not bad at all! The setup is easy to carry and lighter than the DR-60D. Audio from the UwMic10 was clear and the gain dial worked great. Its design allows for a better grip on your device of choice which means more stable video in the long run. The Canon M2 and iPhone handled it like a champ. Audio was clean and clear. Does that mean it's perfect? Unfortunately, it's not quite the perfect solution.... yet. The clip that holds the wireless mic receiver did not hold the UWMIC10 receiver too well. If it were rubberized, it could possibly hold it in place better. Not a fan of the design of the 1/4" screw for camera/phone mounting. You pretty much have to screw your device on, not an issue if you are using your smartphone. A dial similar to what is found on DSLR camera grips that makes it easy to screw onto a camera would be welcome. The iKlip A/V also pushes a single, mono channel. If you work with a dual mic setup for stereo recording it isn't happening. 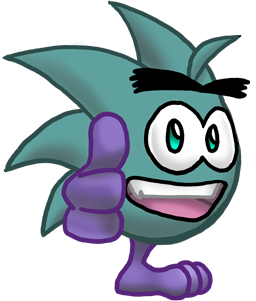 A stereo variant is hopefully in the works. Lastly, for my M2 and all my actual cameras, they don't play nice with 4pole stereo/mic cables, an adapter was needed to push just the mic audio to the camera. A cold shoe mount would also be a welcome addition. I know there seems to be more cons than pros, but the pros do outweigh most of the cons. To use with a DSLR or other cameras, an adapter is available from IK Multimedia. We just happened to have a similar adapter on hand, so we used that with our DSLR. Unfortunately our adapter pushed audio to the right channel only. IK's iLine adapter linked above should push the audio to both channels according to the site description. The light weight and XLR mic support are also huge pluses. While I normally prefer using my DSLRs to handle interview duties, if I'm going to a smaller event or my DSLR batteries died the iKlip A/V is the perfect device to fill in the gap with a decent smartphone. I plan to try using the iKlip A/V to cover a smaller event or 2 to see how it compares to my main rig when a local event happens. 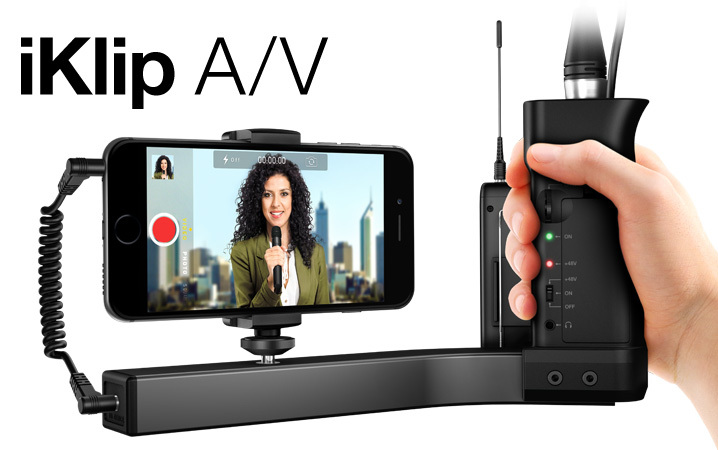 If you currently use a smartphone and want to add stability and a better mic setup, then you can't go wrong with the iKlip A/V. If you currently use a stereo mic setup, then you may want to hold off unless you don't have an issue recording in mono. Perfect for the beginner and anyone that wants an interview rig that's light, easy to carry and works with their smartphone or small camera.